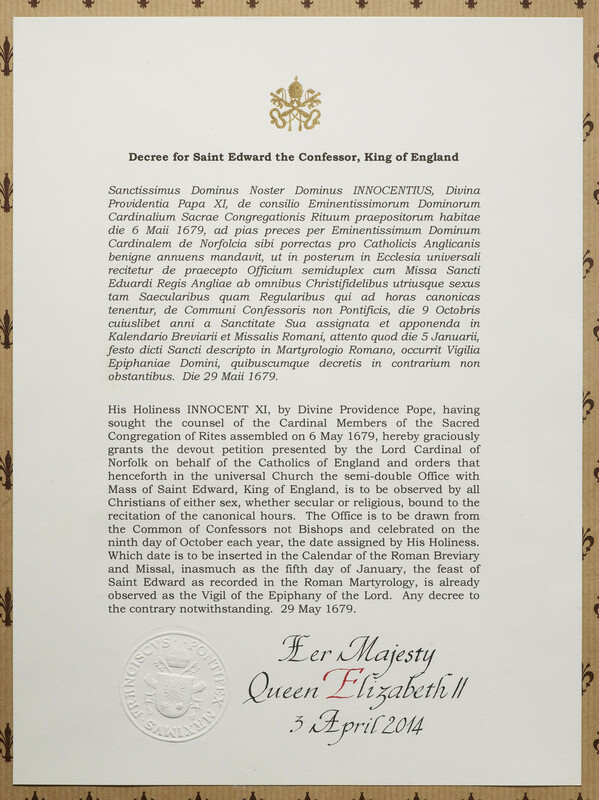 Framed document canonising King Edward the Confessor, dated 29 May 1679. King Edward is a shared saint between the Church of England and the Catholic Church. He was canonized by Pope Alexander in 1161 and his cult extended to the entire Catholic Church by Pope Innocent XI in 1679, confirming his feast day, from when this document dates. Edward the Confessor lived 1003-66, reigning as King of England from 1042-66. He remains the only English king to be canonised.